FENG SHUI BESTBUY'S REVOLUTIONARY METHOD IN PURIFYING "FENG SHUI PRODUCTS"
Feng shui products may carry negativities and improper energies depending on the source, history and storage environment. It has to be emphasized that a feng shui product's energy "starting point" is vital to ensure that it can work effectively to produce positive results. At times, feng shui products and auspicious figurines can be invaded by "negative energy parasites" even though they are symbolically auspicious. The energies have to be properly cleansed and purified. Although the singing bowl is normally used to perform the purifying process, but we find it unsatisfactorily insufficient to do a really thorough work. 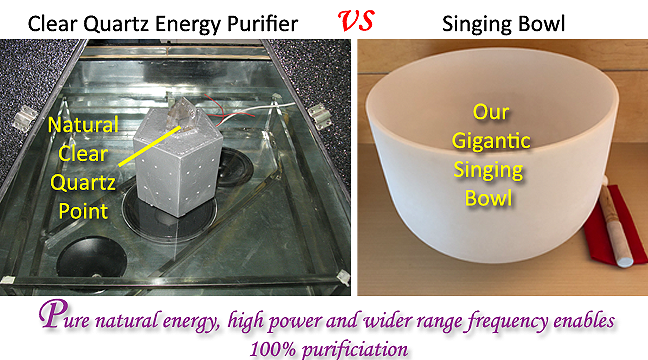 This is because the singing bowl (depending on its perimeter size) vibrates only within a small range of frequency. It is unable to purge out a wider range of forces including dirty spirit inhibitants in statues and figurines. However, for a product that has already been properly purified, the singing bowl can be used for maintenance purposes from time to time. Back in 2008, our company director took a step further to develop a special chamber with the help of a university professor to cleanse all our products. 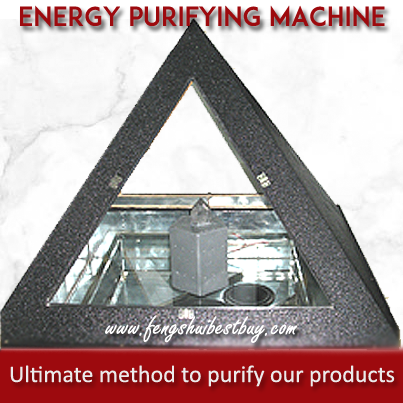 The energy cleansing chamber shaped in a triangular prism has a natural clear quartz point activated by high voltage current and the entire range of high frequency audio waves. This high power concentration has the ability to purify any form of negative energy stuck to any material. Using the clear quartz point to infuse energy is also known as the annointment process or "kai kwang" (hoi kwong). This method of purifying ALL products sold from our on-line store genuinely benefits our customers. Countless customers and people from the energy world had felt special energy resonating from our products and given their positive feedback. We kept this as our "trade secret" for the past so many years without revealing it until the need arises recently. We guarantee that not a single store out there is doing this for you because this technology was founded together by our director with his professor from a university. The cost of the machine is in six figures and the cost of electicity usage for the purification process is outrageously high. 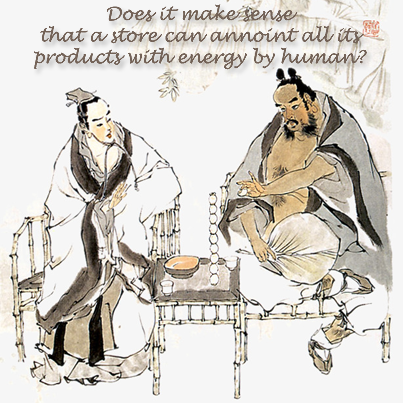 Some stores claim that they use humans to purify their products and some even dare to claim that they perform the "annointment" process on all their products. It requires a genuinely meditating person (a high taoist master) whose mind is always calm to perform this process properly. Remember that human beings have fluctuating emotions and it is not possible to perform such an activity every day on so many items. It will be overly exhaustive for a human to conduct such rituals every hour. His energy will be drained away very quickly. Ask yourself, how many of such supernatural beings exist in this world and do they end up working for stores? That will not make sense at all. Next, nobody can tell if a person does possess such supernatural power even if he is popular with certain communities. The question mark will always be there because you cannot tell about a person's credibility. Lastly, the taoist's "kai kwang" process by human requires the owner to appear in front of the master in pure concentration who will chant taoist mantras in a calm environment for 108 times while invoking the divine help by reading out the name and address of the owner too. Therefore, it does not make sense for a store to tell you that your items have been properly annointed for you by human from a distance. We guarantee that all our products have been placed into this chamber for purification before they are being shipped out to customers.